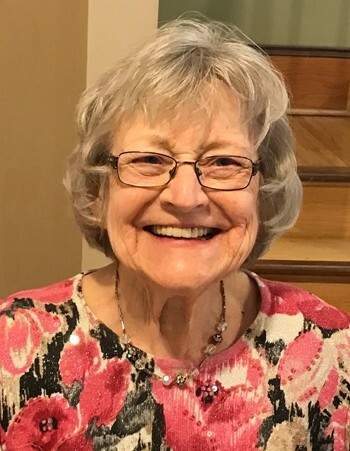 Arlene Marie Hernke, age 83 of Cannon Falls, died peacefully at her home at Twin Rivers Senior Campus, Cannon Falls on Friday, March 29, 2019. Arlene was born on January 1, 1936 in Brooklyn, New York, the youngest child of Orrin and Thelma (Gilje) Egland. When she was very young, she came to Minnesota with her siblings, and they were raised by her Gilje grandparents in rural Cannon Falls. She married Virgil D. Hernke in December 1952 at Wangen Prairie Lutheran Church. They raised five children and later divorced. She was an active member of Wangen Prairie Lutheran Church, and a former active member of Urland Lutheran Church. Family was very important to Arlene, and she enjoyed her children and grandchildren, as well as any “kids” she encountered. She loved the outdoors and yard work, which included gardening, mowing lawn, and her flowers, especially her rose garden. She was a great cook! She was exceptionally organized, resourceful, and could fix whatever needed fixing. She is survived by her children, Linda (Les) Flom of Deer River, Jim (LaVaughn) of Cannon Falls, Tammy Rohr of Cannon Falls, Joe (Nicolette) of Goodhue, and Brad (Mary) of Kent, WA; 13 grandchildren, Jeromy (Kim) Flom, Emily (John) Law, Peter “Bud” Flom, Brian (Anicia) Hernke, Adam (Barbie) Hernke, Holly Rohr Tran (Vu Tran), Samuel Rohr, Timothy (Melissa) Rohr, Cole (Ann) Hernke, Elizabeth (Curt) Boyum, Paul Hernke, Zane Hernke, and Joshua Hernke; 33 great-grandchildren and 4 great-great-grandchildren; sisters-in-law, Helen Egland of Hastings and Phyllis Egland of Florence, CO; and many other loving relatives. She was preceded in death by her parents; former husband, Virgil Hernke; brothers, Lyle and David Egland; and sister, Clarice and Jack Keeney. Visitation will be held on Wednesday, April 3 from 4-7 p.m. at Lundberg Funeral Home in Cannon Falls. Funeral service will be held on Thursday, April 4 at 11:00 a.m., with visitation from 10-11 a.m., at Urland Lutheran Church, Cannon Falls. 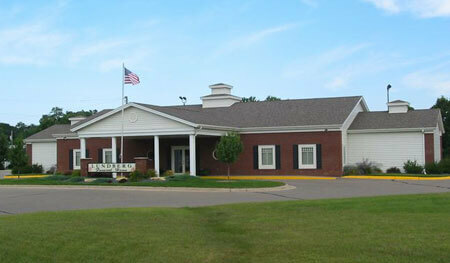 Interment will follow at Urland Lutheran Cemetery. Active pallbearers will be her grandsons and honorary pallbearers will be her granddaughters. Memorials are preferred to Wangen Prairie Lutheran Church, Cannon Falls.